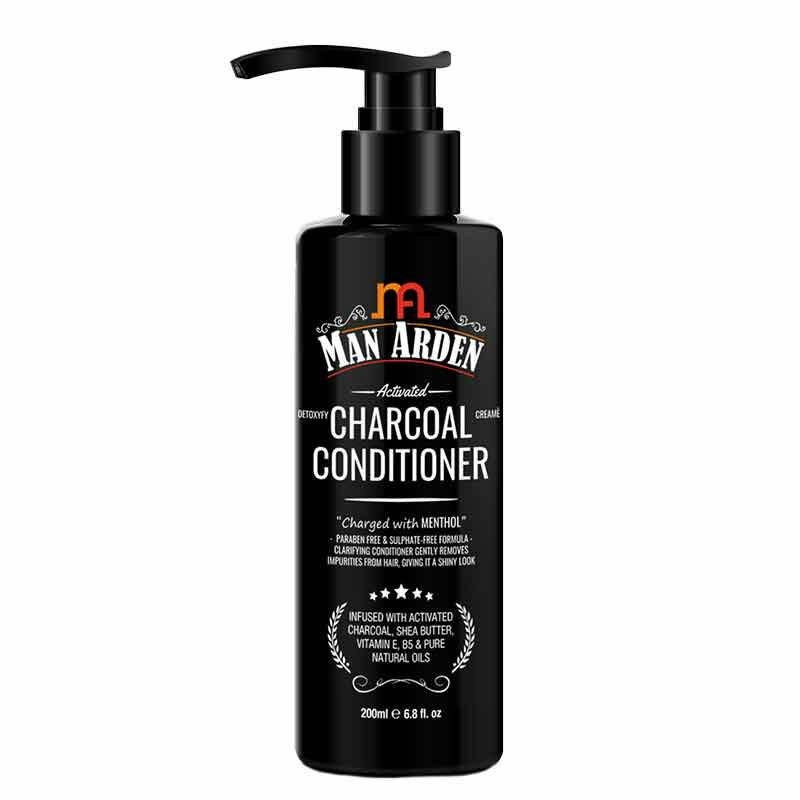 Man Arden Activated Charcoal Hair Conditioner is destined solely to nourish and moisturize your hair! This cream conditioner soothes each strand from root to tip with the power of botanical nutrient blends and activated charcoal, while notes of spearmint leaves and menthol leaves the hair smelling fresh. Watch natural hair volume and magnetic shine return as this conditioner nourishes to leave nothing but refreshed, flawless hair. Charcoal naturally detoxifies, reenergizes, renews and restores hair by removing impurities for a long-lasting clean and natural volume. Activated charcoal, shea butter, organic Moroccan argan cold pressed oil, avocado cold pressed oil, golden virgin jojoba cold pressed oil, sweet almond cold pressed oil, organic virgin coconut cold pressed oil, vitamin E, pro vitamin B5 in this conditioner helps to actively penetrate the structure of your hair and actually make a real difference. 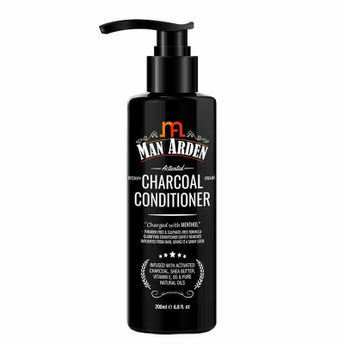 About the Brand: India's No.1 men's grooming brand, Man Arden creates exquisite products specifically designed to suit all types of skin imperfections and enhance the male skin. Understanding men's skin and needs, Man Arden products deliver quick absorption and lightweight formulation your skin demands, and targets specific concerns with powerful custom-fit solutions. Get high-tech, high-performance men's skincare products that give real results. Try it and see for yourself!